The Open Source and Free Software movements in copyright have, in their own way, challenged the tradi­tional exclusive rights — based system. However, when it comes to patents, it would appear that the traditional model — underpinned by the assumption that for an innovation to be economically viable, an inventor must be able to exclude others from making, using, or selling his innovation — still prevails. The common understanding of the encouragement of innovation providing the necessity for strong exclu­sive patent rights is nevertheless nuanced by the recent development of atypical models. The models that will be discussed in this paper do not challenge patents per se (i.e., a right to prevent anyone from making and using the patented invention), but rather the way patents are being used. 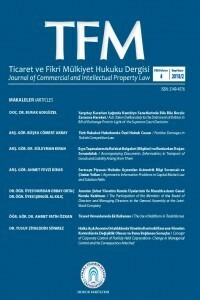 Relying on a growing literature on so-called “open patents” and on selected examples (i.e., patent pledg­es), this proposed paper will investigate recent “openings”, so to speak, of exclusive intellectual property rights (IPRs) and how they affect our understanding of patents as well as the legal instruments currently available to apprehend such new models. Clark Hughey, Rachel (2003), ‘Implied Licens¬es by Legal Estoppel’, Albany Law Journal of Science & Technology. Contreras, Jorge L. (2015), ‘Patent Pledges’, Ar¬izona State Law Journal, V. 47(3) 543; University of Utah College of Law Research Paper No. 93. Contreras, Jorge L. (2015), ‘A Market Reliance Theory for FRAND Commitments and Other Patent Pledges’, Utah L.Rev. V. 2. Cornish, William (2004), Intellectual Proper¬ty: Omnipresent, Distracting, Irrelevant?, Claren¬don Law Lectures,. Dussolier, Séverine (2013), The Commons as Reverse Intellectual Property or the Model of In¬clusivity: Howe, Helena/ Griffiths, Jonathan (eds. ), Concepts of Property in Intellectual Property Law, Cambridge Intellectual Property and Information Law (No. 21), Cambridge University Press. Dussolier, Séverine (2007), ‘Sharing Access to Intellectual Property Through Private Ordering’, Chicago-Kent Law Review. Geiger, Christophe (2013), The Social Func¬tion of Intellectual Property Rights, or How Ethics Can Influence the Shape and Use of IP Law’: Elgar, Edward/ Dinwoodie, Graeme B. (eds. ), Intellectual Property Law: Methods and Perspectives, Chelten¬ham, UK/Northampton, MA, Max Planck Institute for Intellectual Property & Competition Law Re¬search Paper No. 13-06. Hayes, David. L./Schulman, Eric. C. (2014), An Updated Proposal for a License on Transfer (LOT) Agreement. Hayes, David. L./ Schulman, Eric. C. (2013), A Response to a Proposal for a Defensive Patent Li¬cense (DPL). Maggiolino, Mariateresa/ Montagnani, M.Lil¬la (2013), ‘Standardized Terms and Conditions for Open Patenting’, Minnesota Journal Maggiolino, Mariateresa/Montagnani, M.Lil¬la (2011), ‘From Open Source Software to Open Patenting: What’s New in the Realm of Openness?’, International Review of Intellectual Property and Competition Law, V. 42, pp. 804-832. Maracke, Catharina/ Metzger, Axel (2016), ‘Playing Nice with Patents: Do Voluntary Non-Ag¬gression Pledges Provide a Sound Basis for Innovation?’, North Carolina Journal of Law & Technology, V. 7(3). Art.3. Pénin, Julien (2011), Le brevet d’invention comme l’instrument de coordination de l’innovation ouverte: Corbel, Pascal/ Le Bas, Christian (eds. ), Les nouvelles fonctions du brevet, approches économi¬ques et managériales, Economica Remiche, Bernard (2002), ‘Révolution Technologique, Mondialisation et Droit des Brevets’, Re¬vue Internationale de Droit Economique (t. XVI, 1). Schultz, Jason/ Urban, Jennifer (2012), ‘Pro¬tecting Open Innovation: The Defensive Patent li¬cense as a New Approach to Patent Threats, Transaction Costs, and Tactical Disarmament’, Harvard Journal of Law and Technology, V. 26(1). Van Overwalle, Geertrui (2015), Inventing Inclusive Patent: From Old to New Open Innovation: Drahos, Peter/ Ghidini, Gustavo/ Ullrich, Hans (eds. ), Essays on Intellectual Property, V. 1, Edward Elgar. Van Overwalle, Geertrui (ed.) (2009), Gene Patents and Collaborative Licensing Models, Patent Pools, Clearinghouses, Open Source Models and Li¬ability Regimes, Cambridge University Press. Vivant, Michel (2006), ‘Le système des brevets en question: Brevet Innovation et Interêt Général’, Larcier (editor) Conference Le Brevet: pourquoi et pourquoi faire? Louvain la Neuve, Belgium. Vivant, Michel (2005), Droit des Brevets, Edi¬tion Dalloz. Vivant, Michel/ Foyer, Jean (1991), Le droit des brevets, Presse Universitaire de France. Xifaras, Mikhail (2010), ‘Copyleft and the The¬ory of Property’, Multitudes 2, No. 41. ISNAD Estèves, Natacha . "Disrupting the Traditional Patent System: The Emergence of New Models". Ticaret ve Fikri Mülkiyet Hukuku Dergisi 3 / 2 (December 2017): 67-76.